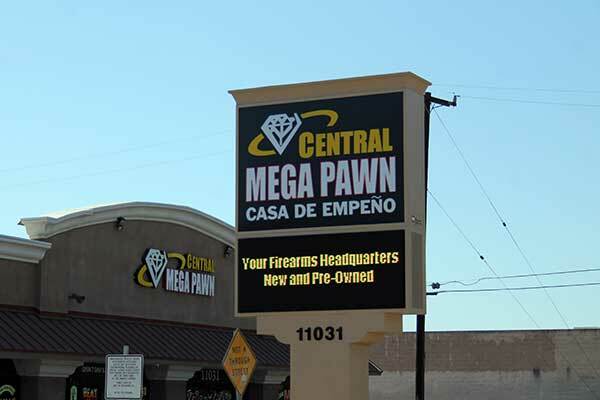 How to find the best pawn shop near me? Most people think all pawn shops are the same. Well aren’t they? Sure all Pawn Shops are indeed places of business where you can get a cash loan on a piece of jewelry or just about anything else of value or sell and buy all types of merchandise including tools, musical instruments and so on but not all pawn shops are the same. How customers are treated is one of the most common ways one pawn shop can be different from another. We have all been in a situation where we are at the store or a restaurant and the service is just terrible either the person just doesn’t seem to care about his or her job or they treat you as if you are bothering them or worse yet they are just plain rude, it creates an experience that we are quick to remember and slow to forgive. Customer service extends beyond the face to face visit of a local establishment as customer service over the phone is also extremely important and again who hasn’t had an awful experience with service over the phone being put on hold and forgotten or being transferred over and over only to explain yourself to the next “customer service rep” who is going to transfer you. A. Do they greet you and make eye contact as soon as possible, sometimes employees are just busy helping other customers and an immediate greeting can be difficult but as soon as they get a chance or as soon as they see you they should make you feel welcomed. Nothing worse than an employee or owner who simply does not even acknowledge you until you ask a question or otherwise accost them. B. Do they value your business, this does not mean do they give you everything you want or pay more for an item than its worth it means that even if there was no business transaction at all you felt that you were treated fairly and that they appreciated, you giving them the opportunity to earn you as a long time customer. C. Do they provide explanations or offer advice, sometimes you may have an item you wish to pawn that is not worth what you thought it was and you really want to understand why a pawn shop with good customer service will do their best to explain to you why the value is not there and perhaps even offer you some advice on how to better know the value of an item or where to get it professionally appraised. So when it comes to customer service in the end if you do not care how you are treated then any pawn shop nearby that will take your item, give you a loan or has some merchandise you wish to buy will do, but if you are looking for a good experience, making a phone call before you come in may be a good idea. You may think that all pawn shops will pay the same amount when they buy your item or loan you the same amount money on whatever it is you are pawning but that is not always the case. Some pawn shops have a larger customer base who go to a pawn shop to find good deals on used merchandise and so they may know they will be able to move that particular item faster than another pawn shop who has a smaller amount of customers who come in to buy things and sees the item as taking up space. Also some pawn shops look to build long lasting relationships with their customers and will offer a bit more than the competition to establish that relationship. There are some pawn shops that just focus on Jewelry, Gold, Silver and precious stones like Diamonds or Emeralds and will not lend or buy anything else while others will have a little more of an extensive list that will include things like Electronics, Sports Equipment and Sporting Goods and then there are those pawn shops (like ours) that will lend on just about anything that has some value including Collectibles, Comic Books, Baseball Cards, Musical Instruments, dvd’s, Remote Controlled Cars and Boats, even Sunglasses. So when it comes to answering the question “How do I find the best pawn shop near me?” you will find that the answer really depends on what it is you are looking to do buy, sell or get a pawn loan and on what is important to you Variety, Pay Outs, Service or Selection. A visit to the pawn shop can be great experience if you know what it is you want to do and you know that the pawn shop you are heading to can fulfill your needs. Now that you have found the right Pawn Shop for you whats the next… Negotiating, negotiating with a pawn shop can be an art and there definitely some rules to follow to get the most for your money or your merchandise. For more information on how to negotiate with a pawn shop to get the best deals stay tuned to our blog page and read our post on negotiating with a Pawn Shop.